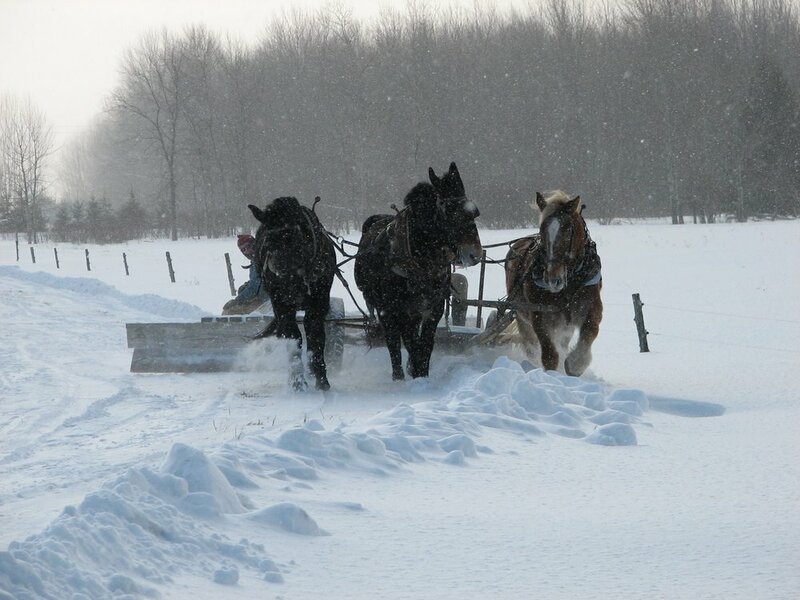 Northland Sheep Dairy uses horses and mules to perform a variety of tasks on our farm, from plowing snow in the winter to making hay for the sheep flock in the summer. We strive to be 100% horse-powered but rely on tractor power just a few days a year to move bedding packs and turn compost. Check out the videos page to learn more about the horse-powered aspect of our farm! Teamster Donn Hewes has been working with and training horses and mules for 20+ years, and recently has started a school on the farm to teach new teamsters. Please visit teamsterschool.com for more info!